A postcard collection from Aurora Art Publishers, printed in Leningrad( aka Petrograd, and now St Petersburg) in former USSR in 1988.Courtesy of Istanbullite Ozmeral archives. 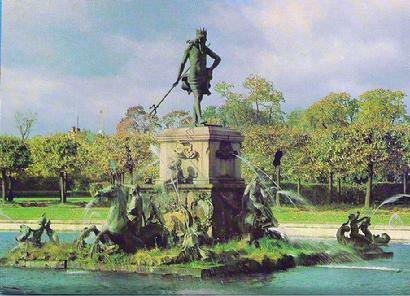 The Upper Park, The Neptune Fountain 1652-60 installed in 1799 by Christoph Ritter, Gottfried Scheweiger and Jerimia Eisler, foubtain restored in 1949. Designed by Nicollo Michetti and Mikhail Zemtsov (1720-23) and Nikolai Benois(1860s), completely restored in 1979. Designed byJean Baptiste Le Blond, Johann Friedrich Braunstein and Nicollo Michetti 1714-1724. The Great Palace restored 1958 and 1964. 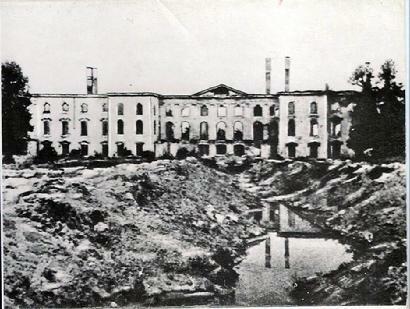 Designed by Jean Baptiste Le Blond, Johann Friedrich Braunstein, Nicollo Michetti and Mikhail Zemtsov. The Great Palace, The White Dining Room 1774-75, designed by Yuri Veltren, interior restored in 1965. The Palace of Monplaisir, Gallery 1717-23, designed byJohann Friedrich Braunstein, Jean Baptiste Le Blond and Niccolo Michetti. Interior restored in 1961. The Palace of Monplaisir 1714-23, designed by Johann Friedrich Braunstein, Jean Baptiste Le Blond and Niccolo Michetti, restored 1961. The Terrace near the Palace of Monplaisir 1714-23. designed by Johann Braunstein, jean Baptiste Le Blond and Nicole Michetti, restored 1946-48. The Marly Ensemble 1720-23, designed by Johann Friedrich Braunstein, restored 1981-82. The Hermittage Pavillion 1721-25, designed by Johann Friedrich Braunstein, restored 1952. The Hermitage Pavillion, The Upper Hall, designed by Johann Friedrich Braunstein 1723-25, restored 1952.